The new IDC report for smartphone shipments in Q4, 2012 hands it over to Android – which seems to have reached more dizzying heights than what Symbian/Nokia ever reached in their near monopolistic regime heydays. the two systems accounted for 91.1 percent of operating systems on all smartphone shipments during the fourth quarter of 2012. 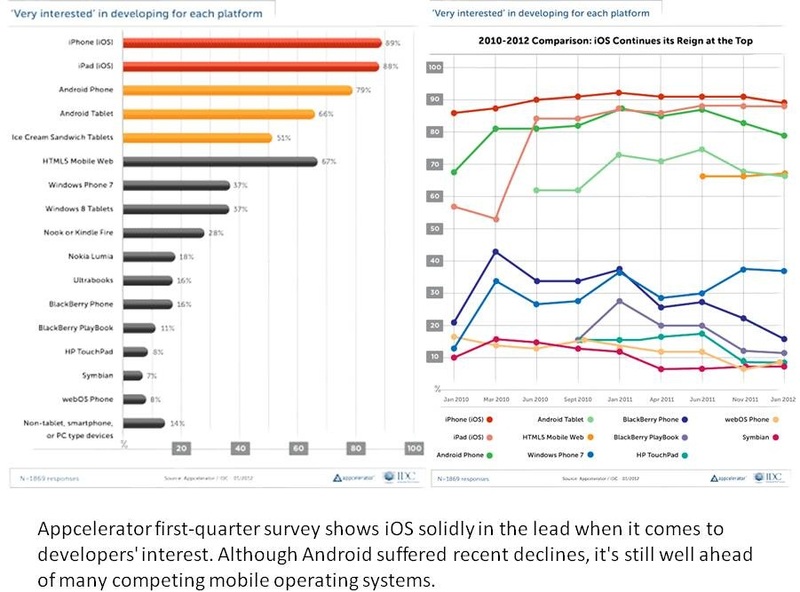 For the year 2012, Android and iOS accounted for 87.6 percent of operation systems on smartphones shipped. Android smartphone vendors and Apple shipped a total of 207.6 million units worldwide during Q4 which is a 70.2 percent increase from the 122.0 million shipments of Q4 2011. Android Saw triple-digit growth for the year. According to IDC, Samsung was the biggest contributor to Android’s success as 42.0 percent of all Android smartphone shipments during the year were by Samsung. The report notes that the intra-Android competition has not stifled companies from keeping Android as the cornerstone of their respective smartphone strategies. 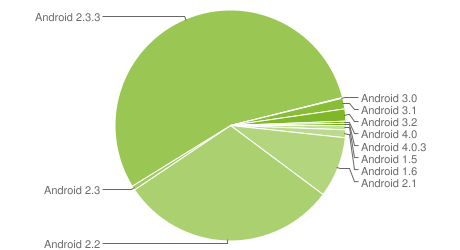 At the end of 2012, Android had a 68.8 percent of market, with over 497.1 million shipments. In 2011, Android’s market share was 49.2 percent with 243.5 million shipments. iOS also continued to register strong growth. But the report notes that iOS’s year-over-year growth has slowed compared to the overall market. Of course the report also mentions the growing buzz around a large-screen iPhone and a cheaper variant, which it says would help sustain growth. iOS shipments for 2012 stood at 135.9 million smartphones which represents an 18.8 percent market share. This is a 46 percent growth compared to 2011 when iOS smartphone shipments stood at 93.1 million at a market share of 18.8 percent. BlackBerry OS: The report states that the decision to postpone the release of BB10 to 2013 left the platform vulnerable in 2012 and reliant primarily on older smartphones running on BB7. 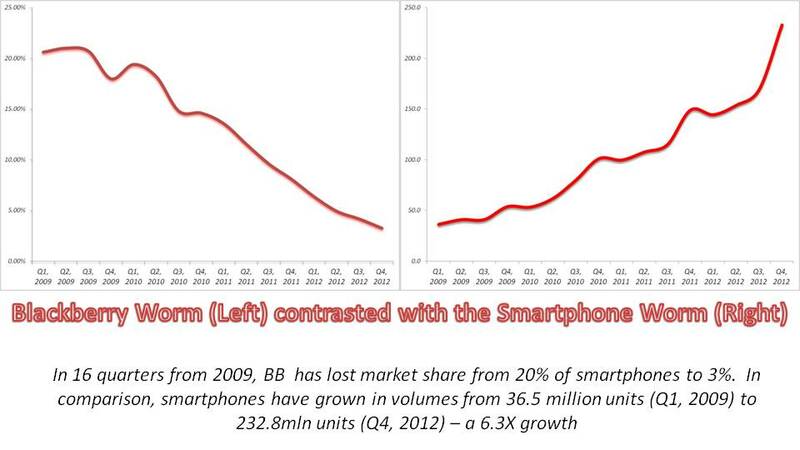 As a result, BlackBerry’s tight grip on enterprise users has loosened. 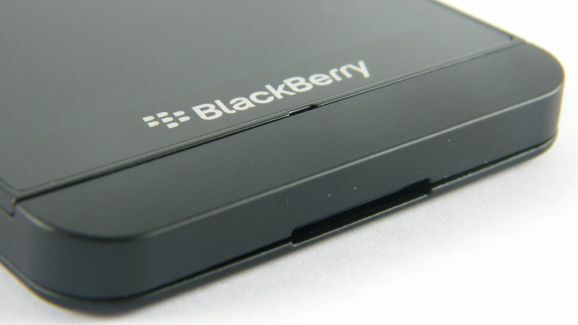 BlackBerry had 32.5 million shipments for 2012, which gives it a market share of 4.5 percent. This is down 36.11 percent from 2011 where it had 51.1 million shipments and a market share of 10.3 percent. 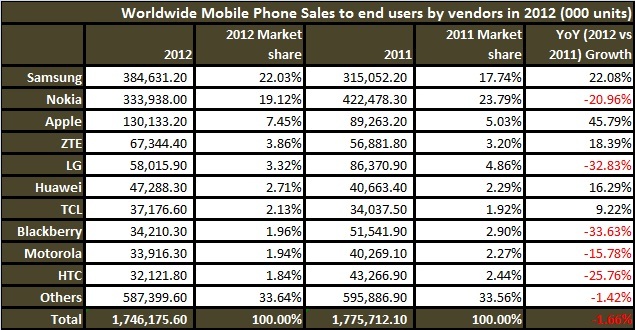 Windows Phone/Windows Mobile: The report notes that this has made some progress in Q4 of 2012. Nokia’s Lumia phones were the key driver in Microsoft’s success, says IDC. Windows Phone/Windows Mobile had a 17.9 million shipments and represents a 2.5 percent market for mobile OS on smartphones. This is 98.9 percent increase from 2011 when it had only 9.0 million shipments which was a market share of 1.8 percent. 2012 promises to be a very tough year for Yahoo!, Blackberry and Nokia who having ruled their respective domains for a decade, suddenly risk redundancy due to lack of innovation. 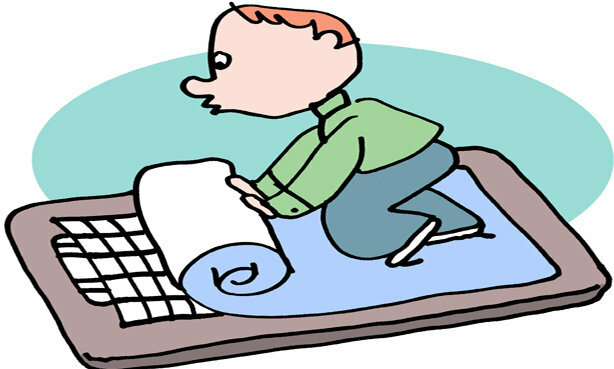 In the technology domain, historically, once an incumbent looses a pole position to challengers riding a new wave of technology, the incumbent no matter how large and dominant finds it difficult to come ahead and regain the leadership position. This has been the story with Yahoo!, Blackberry and Nokia. •	Blackberry and Nokia have eroded 81% and 50% of their m-cap in the last year and are 90% off from their historical highs. Same goes with Yahoo! which is 85% off from its historical highs in the heydays of dot com bubble. •	The Market position of Yahoo!, Nokia and Microsoft is vastly altered from 2 years back. Yahoo! is gradually loosing its No.2 spot to Microsoft and the search relevance in the overall picture. Nokia lost its Smartphone leadership to Samsung and Apple in 2011 and as per reports, Samsung forecasts walking off with the Mobile Phone manufacturer crown in 2012. 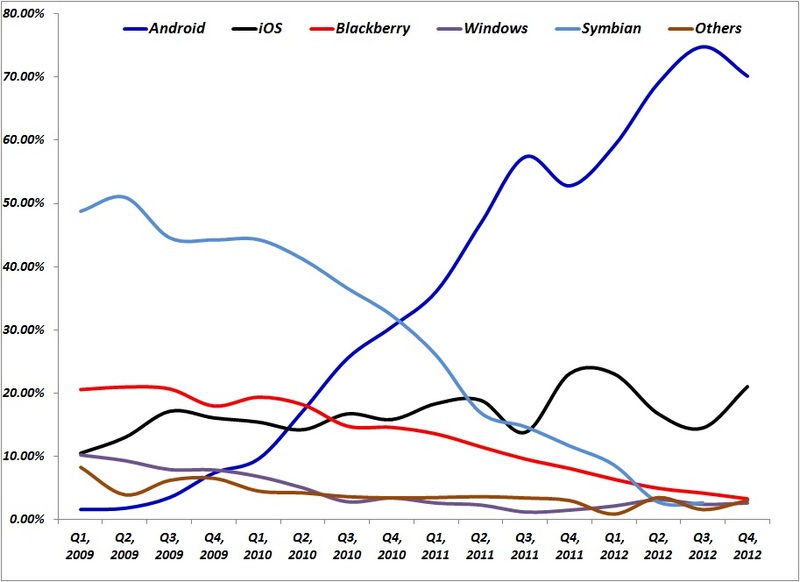 Blackberry has lost out to Android and Apple in good measure and its Playbook has been drubbed. 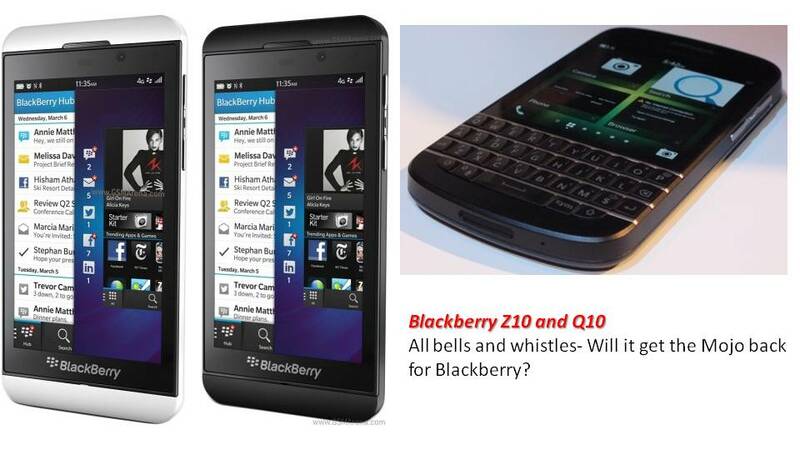 There isn’t much that is expected from future releases of BB OSs and Devices. •	Blackberry appears to me as the worst in the lot and is a prime acquisition target. Same goes with Yahoo!. The Nokia Lumia series of Windows phone has seen some limited success and also been able to secure partnerships with T-Mobile and AT&T. However there is talk of Microsoft acquiring Nokia Smartphones which leads one to think how would Nokia compete without Smartphones? 2012 will need to be the turnaround year for these three and if not then there is a possibility that there could be partial or full acquisition and buy outs very soon.